Frances “Frankie” H. (Sessions) Parkman, 70, of Manchester, CT went home to be with the Lord on Tuesday, August 7, 2018, while surrounded by her loved ones at St. Francis Hospital. Born December 8, 1947 at Rockville General Hospital, Frances was the second of five children born of the late Samuel E. Sessions and Vivian M. (Sloan) Sessions of Stafford. 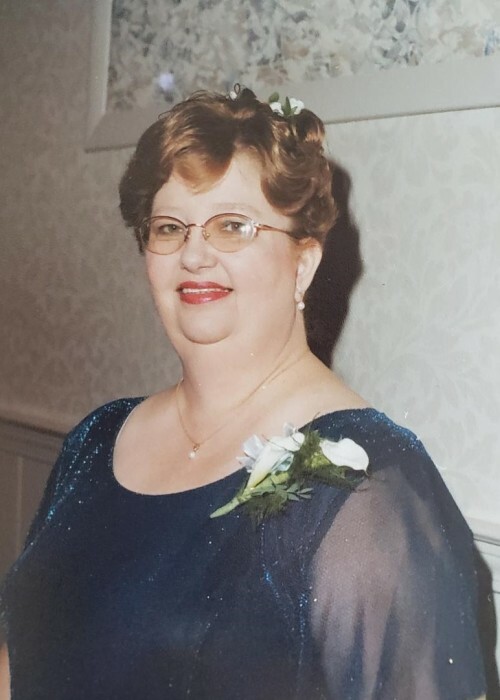 She was a Life Member of the Holland Rod and Gun Club of Holland Mass., Past President of the American Legion Auxiliary, Post 102 in Manchester, and a CB Radio enthusiast. Forever loving, giving and understanding, Frances never judged a person by their past or their actions, she always looked for the good in everyone and gave everyone a chance. She was known to never miss a birthday or an anniversary. Frances leaves behind, to celebrate her life and cherish her memories, her son Christopher Parkman of Rockville, daughter Cassandra Parkman of Rockville, grandchildren Aaliyah and Anthony Parkman of Manchester, brother Samuel Sessions II and his wife Linda of Texas, sister Susan Snow of Manchester, and her sister Mary Gillis and her husband Stephen of Glastonbury. Her nieces Amy Granato, Cheryl Cole, Liberty Giles, and Rachael Harrelson. Her nephews William Lallier Jr., Matthew Gillis and James Gillis. And two great-nieces with whom she enjoyed a special relationship with, Brianna Lamson and Isabella Gillis. Her adopted and step-children, Debra Emanuele, Yvette Mason, Miguel Albizu, Theresa Stancil, and Kashif Mahmood. Best friend Lillian Zalewa and longtime friends Anne-Marie Burney and Neil Johnson. As well as a host of many other family members and friends. Along with the Lord, Frances was received in heaven by her father Samuel Sessions, mother Vivian (Sloan) Sessions Shack, step-father Edward Shack, sister Verna Gilbert, nephew and godson Stephen Lallier, and her two feline companions, Fluffy and Papa. The family would like to thank all of the wonderful people who helped her throughout the years. With special thanks to Sandy Stefanovicz, Janet Bellino, Annie Majewski and Sethlena Impraim for all the love and care they showed her. A Memorial Service will be held Saturday, September 8, 2018 at 3:30pm, Manchester Funeral Home, 142 East Center Street, Manchester. The family will receive friends one hour prior from 2:30 to 3:30pm. Burial will be private.